Welcome to UC Davis. We're entering an exciting new era of excellence and opportunity, and I'm delighted that you've chosen to be part of our thriving community. All of us – faculty, staff and alumni – are committed to helping you reach your academic goals and make the most of your college experience. Your journey at UC Davis will set a foundation for success that can be carried throughout your life. You have an opportunity to learn from world-class faculty and earn a degree that commands respect in graduate schools and the workplace. The diversity of our campus community is a tremendous asset as our students seek success in a global workforce that demands a range of backgrounds and skill sets. You are surrounded by some of the best and brightest students from around the globe, and my hope is that your own world opens up like never before at this dynamic university. For over a century, our alumni have made significant, lasting contributions to society and provided leadership in government, technology, business, the arts and much more. Our students have an incredible opportunity to learn from acclaimed faculty, some of whom have won MacArthur "genius" grants or been inducted into the National Academies. Our research and innovations improve the world as we address such critical issues as climate change, food and water shortages, and poverty. We are driven by curiosity and thrive on self-expression and artistry that values all voices. The Manetti Shrem Museum of Art, the renovation of the Memorial Union and the expansion of our Activities and Recreation Center (ARC) are a few of the new developments that reflect our commitment to providing the best educational experience possible as we plan for future growth. The intellectual curiosity, social engagement and passion for learning you bring to our campus elevates the university as a whole. Together, we build a thriving community dedicated to academic excellence, public service and upward social mobility for students of all backgrounds. 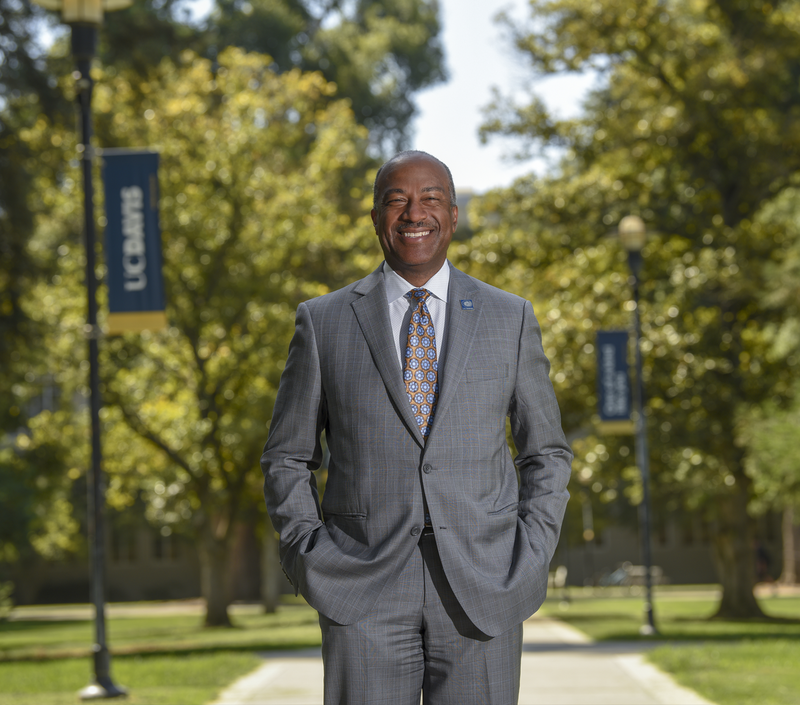 Thank you for the personal touch that you bring to UC Davis. I wish you much success in your studies and the best of times in your college life.